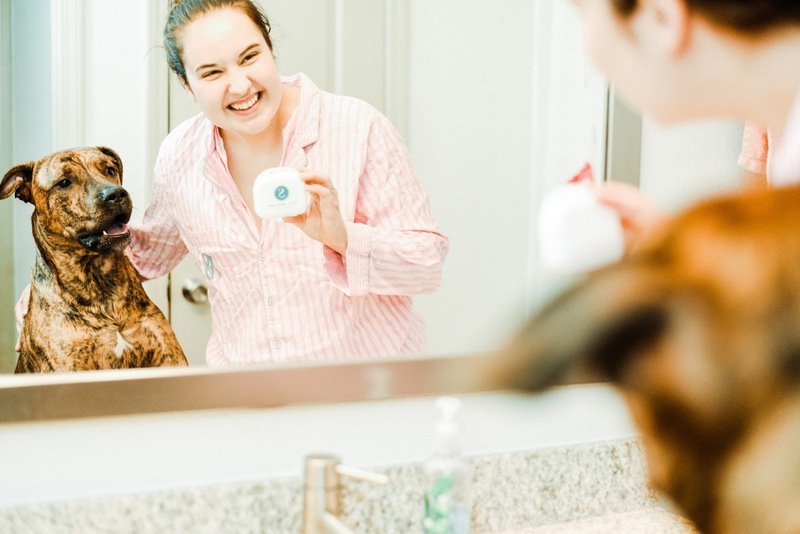 Sparkles and Sunshine: At-Home Teeth Whitening: Does it Work? When I was little, my mom always took me to the dentist. She always made sure that my teeth were taken care of so that I wouldn't have any troubles in the future. She would tell me that when she was little, her parents didn't have the money to really make sure that her teeth were taken care of, and that once she did, she had to take care of a handful of cavities. She never wanted me to have the same experience as her which makes her a pretty awesome mom if I do say so myself! 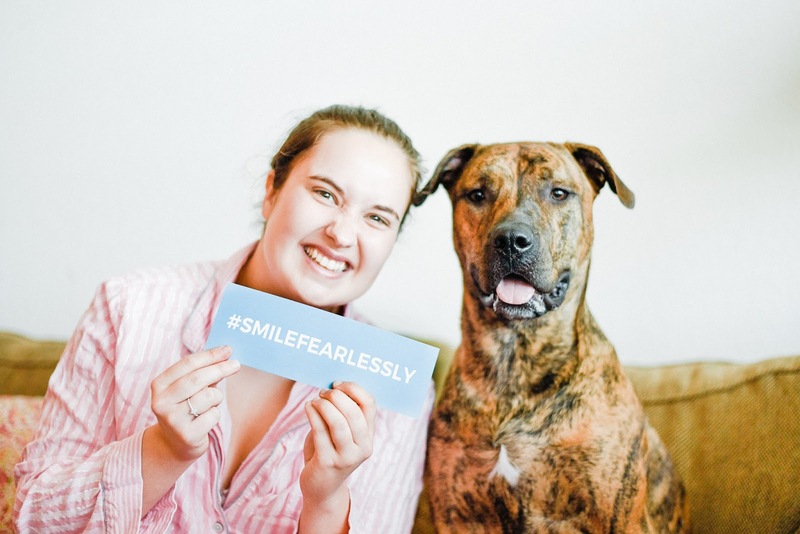 When Smile Brilliant reached out to me I was pretty excited! I've always wanted to try teeth whitening but I've never really had the extra money to do it since it's usually so expensive. What I like about Smile Brilliant, is that everything is very straightforward and I can do it practically anywhere. Since I work a 9-5 job, have a dog and cats, my days are pretty busy. I work all day, come home, take Diesel to the dog park, give Felix his insulin shot, make dinner and then get ready for bed. That usually doesn't leave much time for anything else...until I learned more about Smile Brilliant! I can do my teeth whitening while I'm watching TV, writing blog posts, and more. 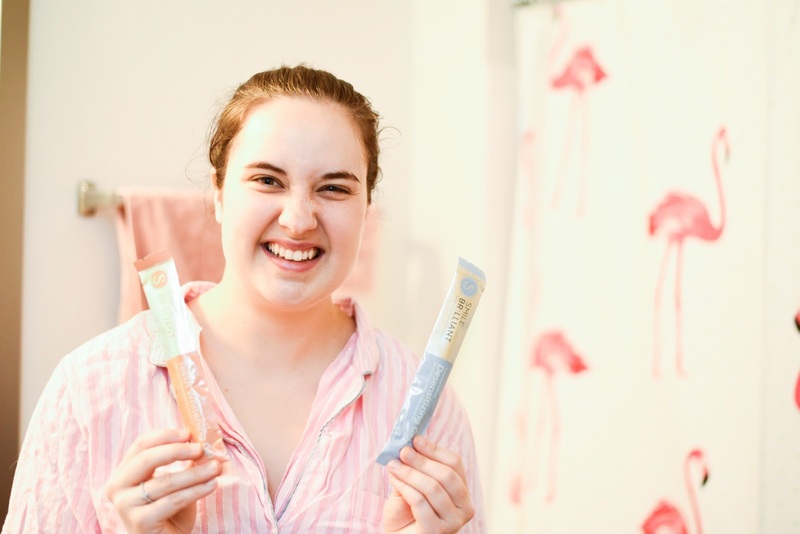 It's super easy to multitask while whitening which is just what I needed! Their process is super easy! First, you pick which kit you want. They cater to people with and without sensitive teeth which is very important. You can look at their different packages here. Once you have decided, Smile Brilliant will send you a pack of putty to make your impressions. These impressions are the molds that your custom-fitted whitening trays are formed from. 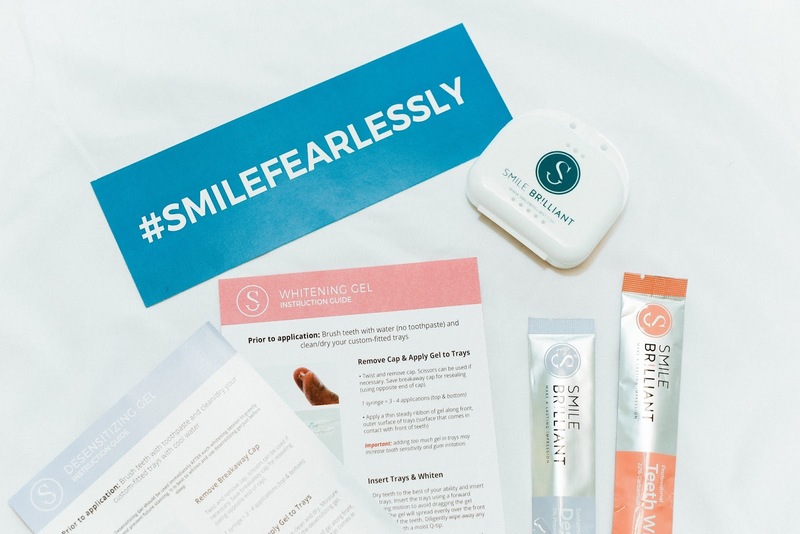 Smile Brilliant is very awesome about sending step-by-step instructions for how to do this (and everything related to whitening). They provide every detail down to the amount of time you need for each step which I think is great. Once you make your impressions, you will send them back to Smile Brilliant so that your impressions can be made. They include an envelope with paid postage to send them back which is super convenient! Actually - all postage is covered by Smile Brilliant if you're in the U.S.! Once the lab makes your trays and sends them to you, you can begin your whitening! The teeth whitening is just as easy as the other steps. The whitening and desensitizing gels come in the form of a syringe that you squeeze into your trays. You can whiten your teeth anywhere from 45 minutes to 3 hours depending on your sensitivity. If you ordered the desensitizing gel, you put that on for 15-20 minutes after the whitening process. Smile Brilliant sent me a pack that contained both gel's which was nice since I wasn't entirely sure how sensitive my teeth were. Better safe than sorry right! After a few days of whitening, I could already a difference and I got very excited! Once the full whitening process was done I was thrilled. 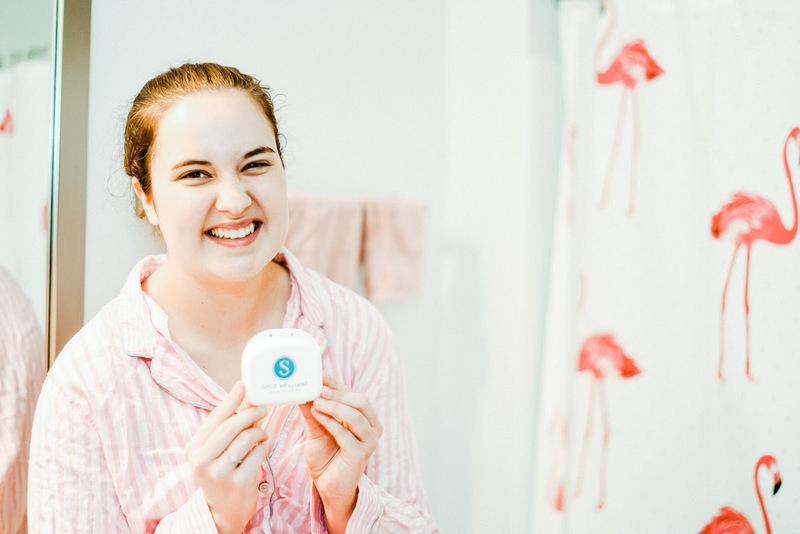 I looked at reviews from other people who have used Smile Brilliant but I still wasn't entirely sure what to expect or what my results would be so I was very satisfied! Below are my before and after photos that I wanted to share with you all. If you're interested in trying Smile Brilliant but aren't sure about spending the money, no worries! 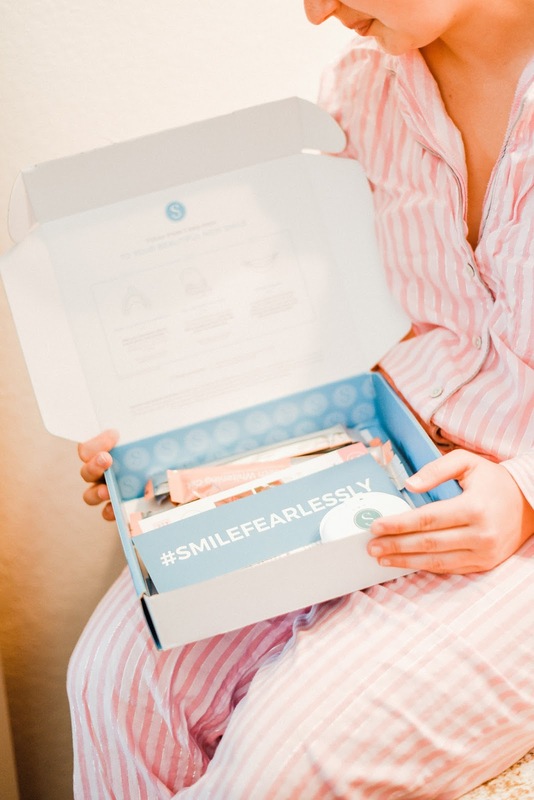 Smile Brilliant is giving you the opportunity to try one of their teeth whitening systems for free! To enter to win, simply click here and you will be taken to a page on Smile Brilliant's website where you enter your name and email. That's it! This post is sponsored and all of my opinions are my own!